BoomWriter is a collaborative writing website that is free for teachers and allows students to create, share, and even publish stories and other original content. BoomWriter’s easy-to-use and interactive group writing platform lets teachers deliver a fun and engaging personalized learning experience, while elementary, middle, and high school age students work online to develop their reading, writing, and peer assessment skills. The teacher selects a “story start”, either from a database of original first chapters or they can create their own prompt, and students then individually write what they think should be the next chapter/section. The teacher reviews each submission online before allowing the students to read and vote on the anonymous chapter/s that they would like to see included as the next part of the piece. There’s an easily managed voting system that fairly determines the winning chapter, while not requiring students to read all of their peers’ submissions (and they do not see their own during voting). The process continues until the story is completed, which is determined by the teacher. Once finished, BoomWriter will even convert the project into an actual published book containing the names of all of the participating students. Completed books are then made available for purchase from the BoomWriter Bookstore. safe for students, since all of their work is created and stored in a closed digital environment. Provide individualized feedback and personalized instruction from anywhere. Create relevant practice and application opportunities for specific skills and/or understandings covered in class. BoomWriter continues to add new free resources and features to support teachers, such as ELA lesson plans, providing teachers step-by-step instructions on how to incorporate elements of personal narrative or literature into their projects. By the start of the upcoming school year, BoomWriter will also feature two new products for use within and beyond the classroom. The first is an interactive vocabulary application called “WordWriter”, that will deliver a technology-based learning experience that is certain to develop greater interest and engagement levels around vocabulary instruction. WordWriter will increase students’ overall vocabulary development by allowing students to apply, share, and assess newly learned words in original content. The second product will facilitate non-fiction group-writing projects around Social Studies/History and Science/Technical subjects, and BoomWriter will support teachers with these efforts by providing free lesson plans as well. 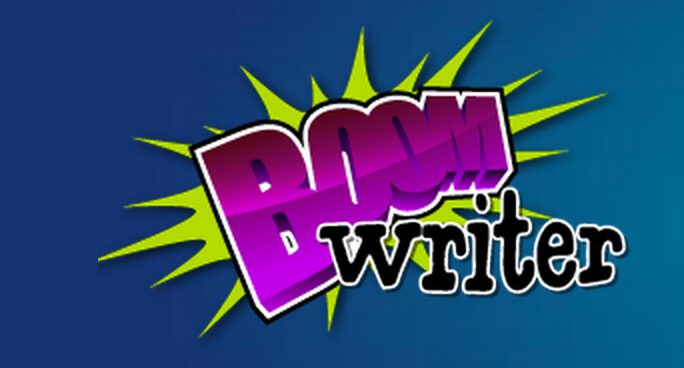 Increase the levels of collaboration taking place in your classroom by registering for free at: BoomWriter!